The Heysham Douglas ferry route connects England with Isle of Man. Currently there is just the 1 ferry company operating this ferry service, Steam Packet. The crossing operates up to 13 times each week with sailing durations from around 3 hours 45 minutes. 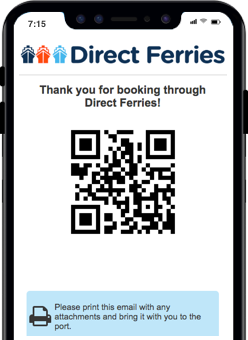 Heysham Douglas sailing durations and frequency may vary from season to season so we’d advise doing a live check to get the most up to date information. Prices shown represent the average one way price paid by our customers. The most common booking on the Heysham Douglas route is a car and 2 passengers. Booking process was quite straightforward, as were instructions and directions upon arriving at the terminal. On board, the ferry was comfortable, despite being quite crowded on my crossing. Altogether, a problem-free experience. "Hailsham to Isle of Man"
Lovely crossing both ways. Sea was calm and able to sit out on deck part of the way. Clean and comfortable on ship. Will use again. All staff were very helpful, happy to help with any queries we had. The sail itself was very comfortable with no problems along the way. It was very efficient in loading and unloading the ship. Sailed on time in both directions. The ship was very clean in all areas and had good viewing areas. The village of Heysham can be found on the north west coast of England in the county of Lancashire. The town overlooks Morecambe Bay and is a pretty little coastal village a short distance from both Lancaster and Morecambe. The village has many beautiful 17th century cottages and is well known for its colourful floral displays, which have won Britain in Bloom's Gold Small Village prize on two occasions. Situated quite close to the village are two nuclear power stations but also areas of woodland, open grassland, sandy beaches and rock pools. 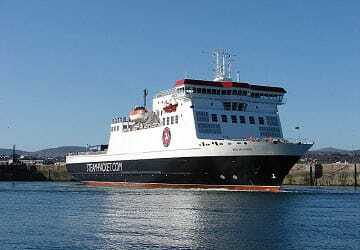 Ferry services from the village's harbour depart to the Isle of Man, operated by the Isle of Man Steam Packet Company, and to Ireland. 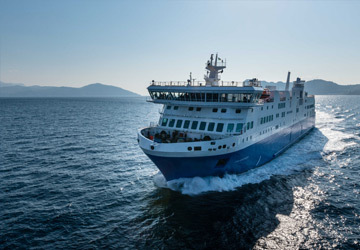 The port's facilities include a waiting lounge with TV, some vending machines, a snack bar and restaurant, disabled toilets and a children's play area.